This range was exceptionally well received by both press and clients with approximately 120 yachts sold in the first 2 years, so it seemed the natural choice to design and develop yet another model. The X range incorporates the best elements from both the Xcruising range and the Xperformance range into one beautifully designed performance cruiser capable of delivering Superior Sailing Pleasure. The all new X40 is a forty-foot performance cruising yacht and will thus be the smallest model in the pure X range; blending quality, performance and styling with cruising capability. The X40 contains the DNA of the other models in the Pure X range: a fast and comfortable yacht which is easily managed, a clean and functional deck layout, sleek, elegant lines, and a spacious and modern interior rich with clean lines and luxurious finishes, all contained within a small, affordable package. In the X40 all weight saved is used to increase the yacht’s stability enabling the crew to have a more relaxed time and to feel safer and more comfortable. The Pure X models are for those who want to be on board the most modern and comfortable hybrid between those two extremes. 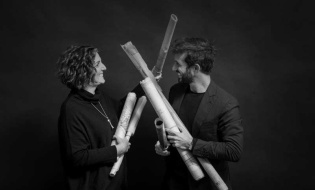 New and innovative feature Design Director Niels Jeppesen explains: “One of the details we have spent months perfecting is the entrance washboard system. Instead of a traditional lifting/lowering washboard system, we have designed a pair of side-hinged doors which work nicely to conceal the halyards and trim lines in the purpose-built halyard recesses either side of the entrance. We haven’t seen this anywhere else, and we believe that we have perhaps once again created a unique new feature”. Interior layout The X40 will initially be offered in a 2-cabin layout, but from 2020 we will add a 3-cabin layout to the model configurations. 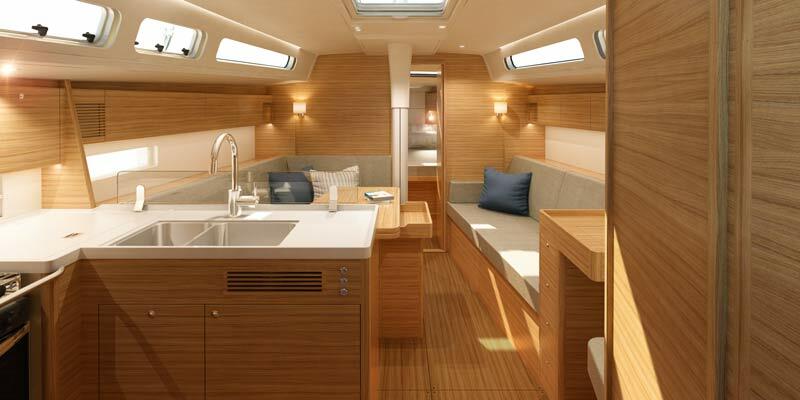 The 2-cabin layout has a double cabin aft to port, and the 3-cabin layout will forego the aft sail locker and add a double cabin to starboard. We have worked hard to create an interior which feels vast, in spite of its compact size. 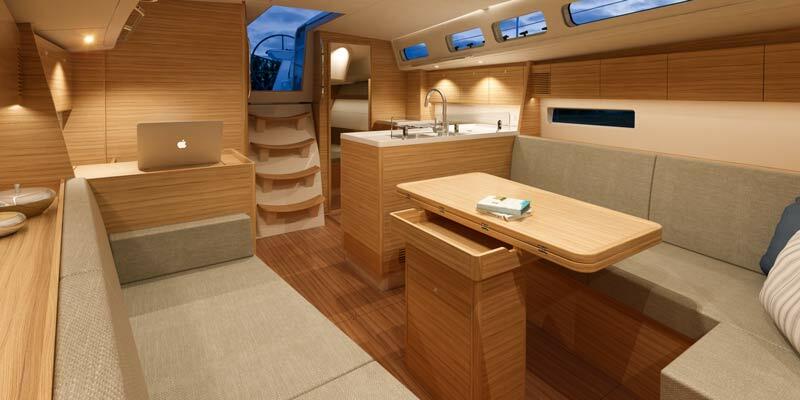 The interior comes standard in Nordic Oak veneers with teak laminate on floorboards. All veneers are hand se- lected in Italy by our specialists by one of the most exclusive suppliers for the marine market for high quality yachts. When is expected launch? 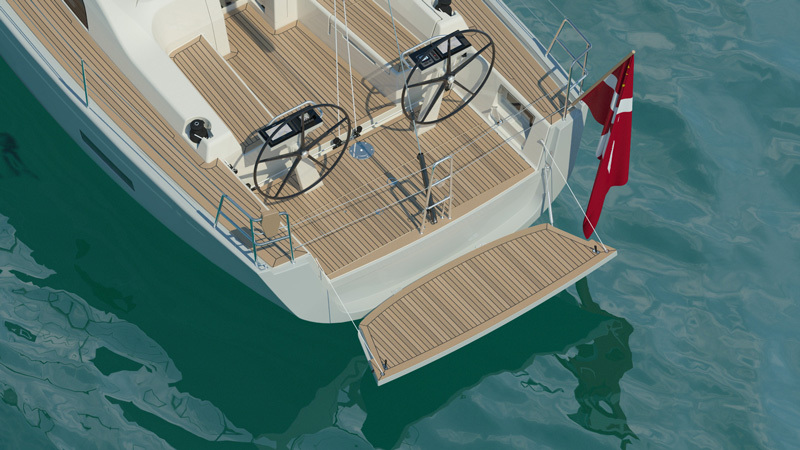 The X40 is currently under full development and is expected to launch early Summer 2019 for sea trials and testing. Price The boat is offered at an introduction price of Euro 257,500 for the 10 first models. 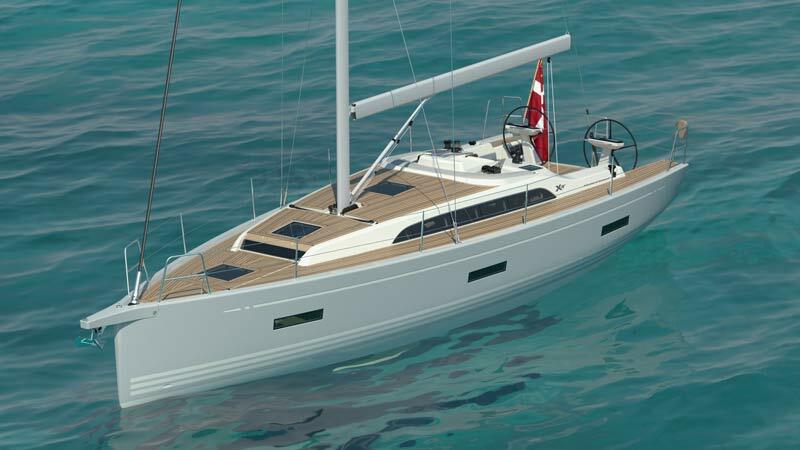 Included in this price is X-Yachts Quality Package representing a value of Euro 48,700. What a way to celebrate X-Yachts’ 40th Anniversary! As of today, we have published our new web configurator of the Pure X models.